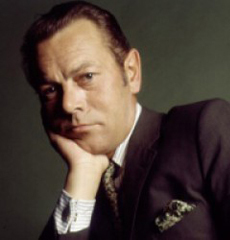 This site is primarily a discography intended to show all of the albums and CD reissues of Bert Kaempfert's recorded works. It was first created in July 2009 and showed a very incomplete listing of Bert Kaempfert's CDs. In April 2013, I moved the site to its own domain name and used a content management system to organize the content. However, I never completed it and moved onto other projects. Fortunately there are dedicated fans who continue to maintain the BK database which they share with me. I plan to continue working on this site, similar to what I've done with the Percy Faith discography with cross reference links and videos to the music. Nearly all of Bert's music is currently available on CD with original artwork (mostly Digipak issues), there have been some other items of interest in the past couple of years including a 4-CD box of Freddy Quinn's live albums (two with Kaempfert). I'll document all of these items shortly. At the moment, I've working on upgrading the "back end" of all my sites to the latest security patches. I've also been spending a great deal of time with 5.1 surround sound on DVD (e.g. The Beatles Sgt. Pepper's remix) and quadraphonic reissues on SACD (e.g. Percy Faith, Ray Conniff, Michel Legrand).